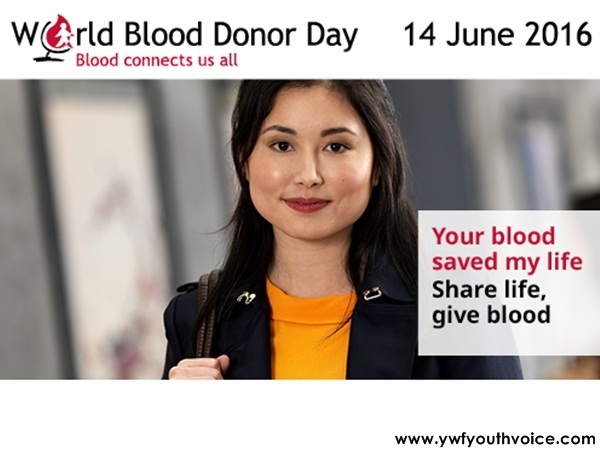 This year, the theme of World Blood Donor Day is “Blood connects us all”, highlighting the common bond that all people share in their blood. The slogan, “Share life, give blood”, draws attention to the role that voluntary donation systems play in encouraging people to care for one another and promoting community cohesion. In many countries, demand exceeds supply, and blood services face the challenge of making sufficient blood available, while also ensuring its quality and safety. An adequate supply can only be assured through regular donations by voluntary, unpaid blood donors. An ideal example of such voluntary donations can be seen in Dera Sacha Sauda, Sirsa. The humanitarian warriors of Dera Sacha Sauda's Shah Satnam Ji Green S Welfare Force Wing have an exceptional spirit for humanitarian services. It seems like there is some sort of supernatural power behind such enthusiasm and devotion of the volunteers, purporting their True Love for humankind. The name "TRUE BLOOD PUMPS" was given by their Guru Dr. Gurmeet Ram Rahim Singh Ji Insan by seeing the enthusiasm and dedication of the volunteers. Dera Sacha Sauda has the largest no. of voluntary blood donors, all inspired from their guru, their hero MSG The Lionheart Warrior Saint Gurmeet Ram Rahim. The last three largest blood donation drives in the world were from Dera Sacha Sauda. Motivated and spurred by Saint Dr. Gurmeet Ram Rahim Singh Ji Insan, on 7th December 2003, Dera Sacha Sauda followers donated 15,432 units of blood to 56 participating blood banks. This record was surpassed again under Gurujis’ guidance to 17,921 units on 10th October 2004. Finally on 8th August, 2010 a new Guinness World Record was established when Dera members volunteered to donate 43,732 units of blood, thereby rewriting history. Gurmeet Ram Rahim cites the donation of blood, imparting of knowledge, help of the sick and infirm, help during natural calamities and voluntary work done by us ourselves in the aid of others as the true charity. Dera Sacha Sauda is also a largest blood donor agency for the Indian Armed Forces since May 2006. This year, the host country for World Blood Donor Day is Netherlands, through Sanquin, the national blood supply organization. The global event will take place on 14 June 2016 in Amsterdam, attended by His Majesty King Willem-Alexander.